Unfortunately, most businesses, whether small or large do not maximize the benefits of their internet presence. There is more to giving your business an online presence than just putting up a tiny website with your company’s phone number and address. To be successful, you must be willing to set up a virtual version of your company. The informative website should have a welcoming and intuitive view, a Twitter account, Facebook page among other social media accounts. In this electronic era, more and more people are searching online for services and products they need compared to perusing through a phone book. The internet is constantly awake – it never sleeps. Every portal you provide online offers your company a virtual twenty-four hour showroom. This goes miles in allowing potential clients to research your service or product even after business hours and within the privacy or comfort of their home or office. If you trade products, an online store enables a twenty-four hour order placement in order to capture a sale immediately a customer is interested compared to waiting for your brick-and-mortar business store to open. By this time, the urge to make a purchase might already have passed. Unquestionably, the internet encompasses a larger area in comparison to the countable miles of your business store or office. When you have a web presence, you are able to reach out to all people that pass by your virtual doorstep. This could include individuals from just right next door or as far as other countries. Depending on your offerings and specific industry, this could definitely open up a wider customer base compared to depending on face-to-face interactions would. “Brand Building” at its core actually means building a prospective client’s trust in your product or company. 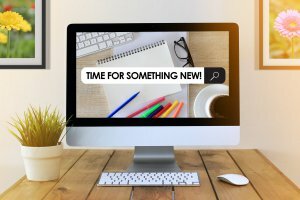 Effectively providing an online presence allows customers to access your service or product as well as a way for customers to “check out” the company. Your interactions with customers, online reviews and the quality & frequency of your posts does so much to create a positive impression of your business in a potential customer’s mind, thus making a future sale most likely. An incredibly written piece of copy of your services or products on your website normally allows buyers to arrive at an informed and more relaxed decision to buy compared to the feeling highly pressured possibly by a pushy salesperson. Marketing your services and products is also more far-reaching and easier because the internet allows a wider and more cost-effective distribution in comparison to conventional marketing that usually includes mailing and printing costs. 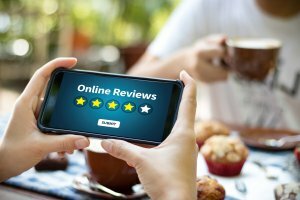 Some people might consider reviews a double-edged sword when it comes to conducting business in the web. This is because there will always be the possibility of being slapped with a negative one, even though it might be fair or not. Nonetheless, if you honestly run your business and treat your clients well, then you can be sure that these ought to be isolated incidents. In most if not all cases, if you handle your business as it is supposed to be, you will surely enjoy numerous positive reviews from satisfied customers that will constantly outnumber the negative ones.